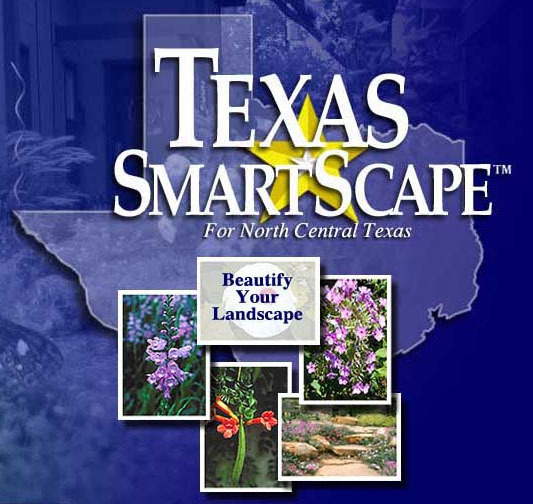 For more information see the Texas SmartScape Website. 1) Plant Spacing: All decisions on plant spacing should be based on a plant's mature height and mature width, and these are the dimensions listed in this publication. The width listed for each plant is an indication of the minimum recommended spacing between individual specimens of the plant under consideration. Example: If you are planting a line of dwarf yaupon holly, and its width is listed as 3', then you would space the plants with 3' from the center of one plant to the center of the adjacent plants (and at least half of its mature width, or 1.5' in this example, from any wall or fence). This will prevent the problem of overcrowded, distorted plants and ensure that the plant canopies almost, but not quite touch at maturity. 2) Outstanding Plants: An asterisk (*) denotes those plant materials which are particularly outstanding for this area. Ajuga or Carpet Bugle, (Ajuga reptans), ht. 4", wd. 3"